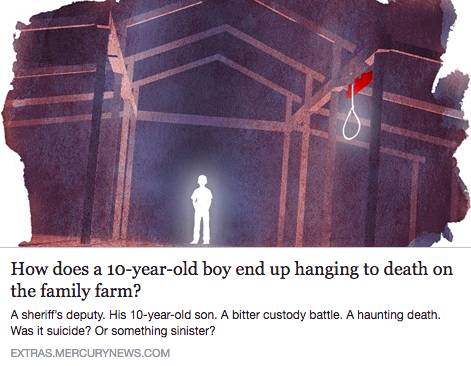 You are here: Home / News / How does a 10-year-old boy end up hanging to death on the family farm? […] On Jan. 30, 1989, after dark, Joshua Sean Klaver was found in the barn’s slaughter room, hanging from a bright-orange, metal meat rail — the same one from which his father used to hang steers for butchering and pigs for scalding. A thick rope was wrapped around the boy’s neck. At the time, authorities quickly concluded his death was a suicide and blamed a bitter custody battle between Josh’s unmarried parents.